Katie Jackson and Royal Dancer. Photo Credit ©SusanJStickle. 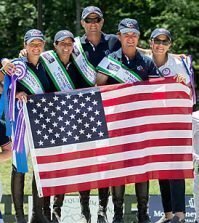 Wellington, FL – March 10, 2017 – Week nine of the 2017 Adequan® Global Dressage Festival (AGDF), features CPEDI 1*/2*/3* Para Dressage, presented by Mane Stream courtesy of Rowan O’Riley, Mission Control, Adequan®, and Nutrena. 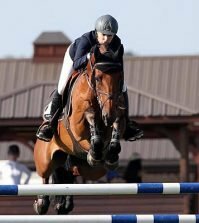 Competition started on Friday at The Stadium at the Palm Beach International Equestrian Center (PBIEC), in Wellington, FL. Katie Jackson (USA) and Royal Dancer, a 2005 Westphalian gelding owned by Kai Handt, finished with a win in the Para Team Test Grade V – CPEDI 3* with a score of 67.872%. Jackson concluded by expressing her gratitude for her team, and all of the sponsors of this week’s CPEDI 1*/2*/3* Para Dressage Competition. Second place in the Para Team Test Grade V – CPEDI 3* went to Mary Jordan (USA) and Rubicon 75, a 2005 Oldenburg gelding (Royal Hit x Edelkarin x Absinthe) owned by Jordan, with a 67.829%. 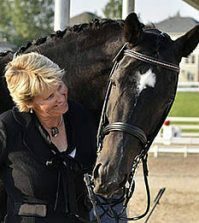 Angela Peavy (USA) and Royal Dark Chocolate, a 2008 Oldenburg mare owned by Rebecca Reno, clinched a victory in the Para Team Test Grade IV – CPEDI 3*, with a score of 72.250%. 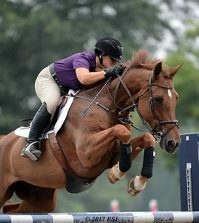 Peavy competed at the 2014 Alltech FEI World Equestrian Games, as well as the 2016 Rio de Janeiro Paralympic Games. Placing second to Peavy in the Para Team Test Grade IV – CPEDI 3* was Pamela Hardin (USA) and Quarterjack, a 2005 Brandenburg gelding (Quaterman x Medea ii x Rohdiamant) owned by Hardin, with a score of 67.417%. Third place was awarded to Laura Hall (CAN) and Boo Sinclair, a 2006 KWPN gelding (Sir Sinclair x Onward O’Crimson) owned by Dr. Heather Boo, with a 65.750%. Other classes of the day included the Para Team Test Grade II – CPEDI 3*, won by Laurietta Oakleaf (USA) and Niekele Fan Busenitz, a 2004 Friesian stallion (Sape 381 x Wemke H x Fetse 349) owned by Oakleaf, with a 67.879%. 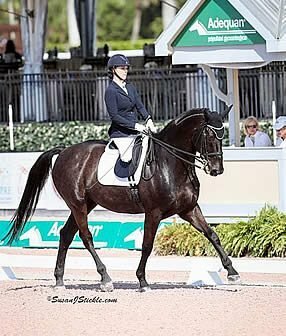 The Para Team Test Grade I – CPEDI 3*, awarded a win to Jody Schloss(CAN) and Lieutenant Lobin, a 2004 Danish Warmblood gelding (Lobster x Farine) owned by Schloss, with a 69.524%.